Settings: MakerWare .2mm/standard in about 90 minutes, with no raft and no supports, one one piece. In the Customizer settings below, 1.5mm is the smallest that I could make hinge_radius before things got unreliable. However, hinge_clearance could safely be reduced if a stiffer model was desired. Fun fact: The picture below shows what it means to "design to fail". 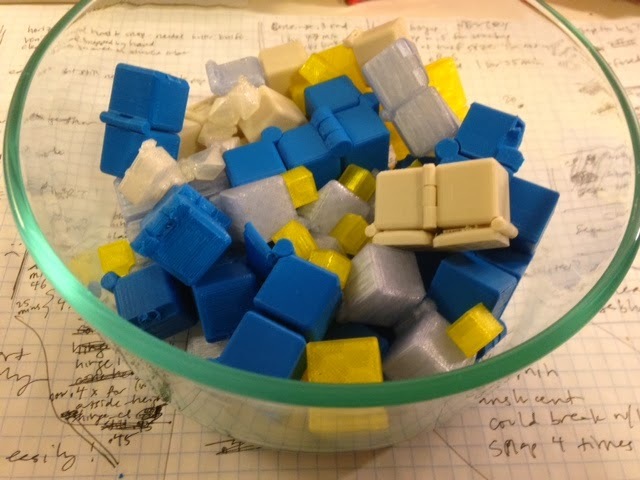 To make the Customizable Print-In-Place Fidget Cube we went through a lot of iterations of testing, re-testing, and failure. 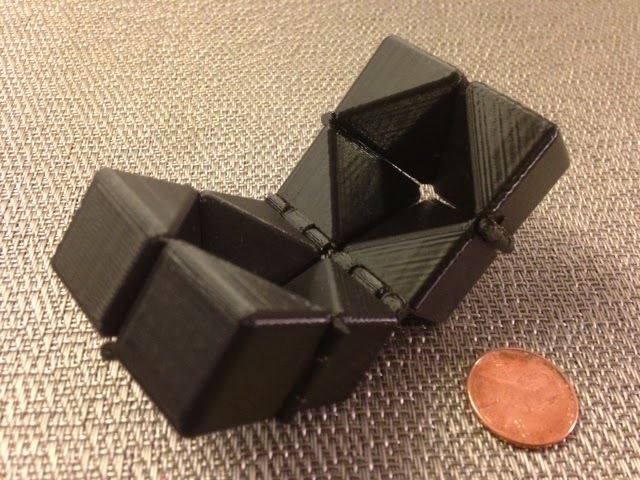 UPDATE: The Print-In-Place Fidget Cube was Featured on Thingiverse today! Thank you, Thingiverse!